Fairfax, VA show on May 8th, who's going? Thread: Fairfax, VA show on May 8th, who's going? be there and be *****!! this beaut caught my eye! 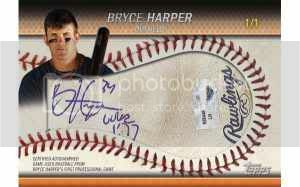 anyone have info on this Harper 1/1 auto? SEXXXY! Re: Fairfax, VA show on May 8th, who's going? I'll be there I go to Mason! My roommate went to Brooke Point. oh word i went to north, small world. 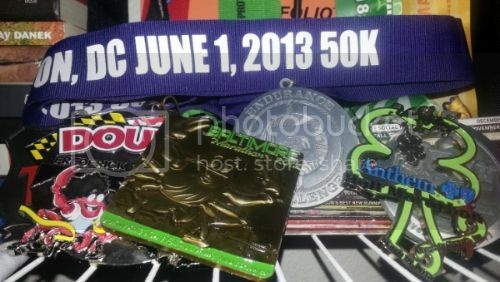 It will be in the 2011 Pro Debut coming out in June. Probably a redemption...but it may be in the packs. Dang...I'm tempted to go, but if I go, my wife is going to give me grief for not going to church. My church is near Tysons. DC Area Sports Collector: Redskins, Orioles, Wizards, Capitals. Also interested in other DC and Seattle Area Teams: Nationals, Ravens, Seahawks, Mariners, Sonics, UW. Maryland Terps Collector! GO TERPS! Same here. Not on the church part, but it's Mother's Day. Only 30 minutes from me. I try to get to that show when I'm in town, but isn't that show half comics?! "Topps does not, in any manner, make any representations as to whether its cards will attain any future value." You all should come regardless haha. Unique idk how the show is, it'll be my first time attending it. Talked the wifey into attending. We are only 17 miles (30 minutes away). Getting ready now. Hitting starbucks on the way. If anyone wants to see the GEM Red Cursade, Be on the look out for a Bright Orange O's hat & Ripken Jersey. wish it wasn't mothers day......but with this mothers day being the first for my family cant be to selfish hhah. gotta spend the day with the wife and newborn, who knows maybe she wants to visit grandma in fairfax and i can check out the show when i pickup some diapers and beer wish me luck! Just arrived. Heading in. First show I've attended in about 3 years. save me the phillies bro ! find some major O's steals homie!! !